Why Are More Older Americans Needing to Resort to Bankruptcy? Why Do More Older Americans Need Bankruptcy? Did you know the number of older Americans bringing mortgage debt into their golden years is on the rise? According to a group of Harvard researchers, the percentage of Americans with mortgage debt over the age of 65 has risen from 22 percent in 1995 to 38 percent in 2013. This statistic shows how financial pressures are changing for seniors in America, and it is part of why bankruptcy is so important for older Americans. 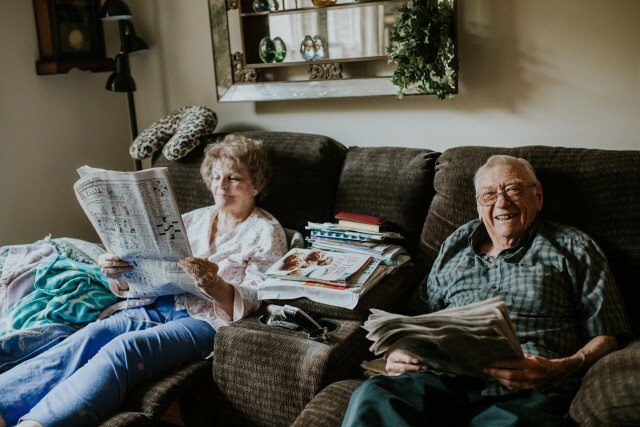 According to researchers examining data from the Consumer Bankruptcy Project, more seniors are filing for bankruptcy now than ever before. In 1991, only 2.1 percent of consumer bankruptcy filers were between the ages of 65 and 74. In 2016, that percentage has risen to 12.2 percent. Why are so many more seniors filing for bankruptcy? While some analysts have pointed to the senior community expanding due to aging Baby Boomers, others aren’t buying that explanation. They are pointing toward wage stagnation and inflation as a probable culprit for this change. Still others say that rising healthcare costs and employers shifting retirement fund responsibilities to employees have made big impacts as well. This has several implications for Americans as they get closer to retirement. If these financial trends continue, bankruptcy will only become more important for consumers with debt problems because the Bankruptcy Code could help protect your retirement funds. When President George W. Bush signed the Bankruptcy Abuse Prevention and Consumer Protection Act into law in 2005, bankruptcy protections were extended to IRA accounts. This allows IRA holders to enjoy some of the same federal bankruptcy protections afforded to people who have 401(k) plans, pensions, and employer-sponsored retirement plans. If you’re reading this, you might be wondering which bankruptcy options could be right for your financial situation. Consult with an experienced bankruptcy attorney at The Sader Law Firm to learn more through a free consultation. We can help you evaluate your financial position, so you can pursue the best debt relief options. ← Does Income-Based Repayment for Student Debt Work?